Home » Posts Tagged "Centerpiece"
Kerrie Kelly Design Lab via ZillowA perfect piece of fruit from the farmers market can become part of your tableau, and glass makes simple things sparkle. As the holidays approach and friends and family gather, we often are tasked with bringing together all the elements for the celebration. Luckily, when it comes to centerpieces, there are many ways to dress your table without splurging on new dishes and linens. Instead, you can look to items from nature, affordable finds and items you may already have to create a fresh and effortless look without a lot of shopping. Check out these five chic ideas that will make you “celebration ready” for the season. 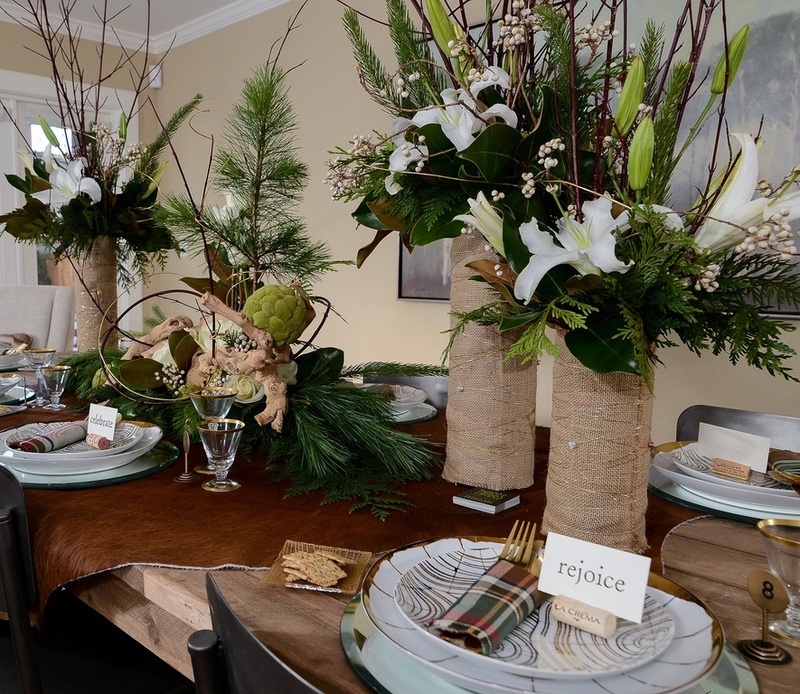 A single branch can be dramatic and sophisticated, setting the tone for your table scene. A more substantial branch can be laid down the center of the table and dressed with unscented votives to create some organic ambiance. Don’t hesitate to paint the branch white, gold or silver depending on your table’s palette. Alternatively, you can go vertical, filling a glass vase with one stunning arched branch of foliage or berries. Arrange berries or small scale branches at each place setting and nestle in a place card for a more formal aesthetic. Kerrie Kelly Design Lab via ZillowBranches and greenery from your yard can help stretch an inexpensive bouquet from the grocery store into several. Forgetting the flowers and candles can be a great way to create an extraordinary tabletop. A few simple glass apothecary jars filled with acorns, pinecones, candy — or at Christmas, ornaments that didn’t reach the tree — can create a beautiful centerpiece. Choose varying jar heights to create visual interest, and consider filling them with something that guests may be able to enjoy, like biscotti or another treat. For interactive fun, have Thanksgiving guests write down what they are thankful for and drop the message in an empty table jar. 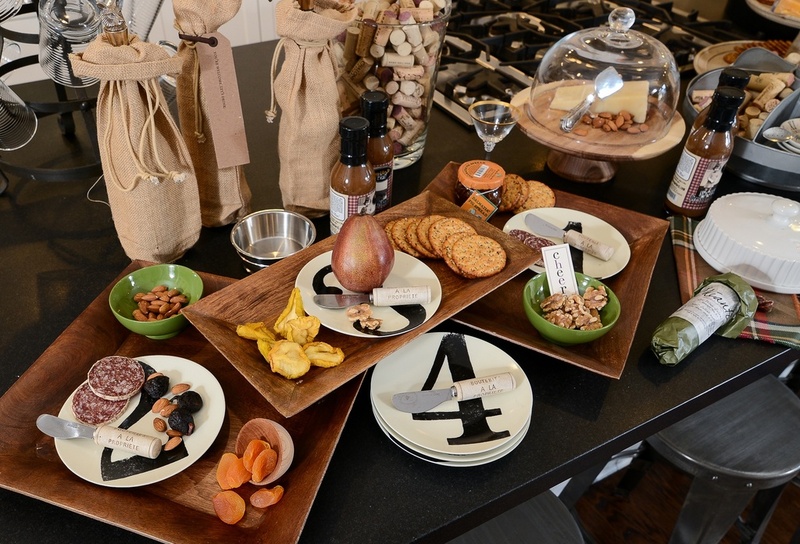 When dinner is served, guests can take turns pulling out the messages and reading them aloud. Decorate your holiday table with something that not only looks good, but tastes good too. At Christmas, let crafty friends, family and kids make gingerbread houses for your holiday centerpiece. You can choose to make this in advance using a kit or your own recipe, or you can use the activity as a way to entertain guests while you take care of cocktails and dinner. Encourage guests to break off a piece of the gingerbread while at the table after dinner. For an element of surprise, fill up the edible house with more goodies or simply scoop up bowls of vanilla ice cream to pair with the treat. Nothing is more striking than the rich color of seasonal produce, so let your market finds take center stage when you set the table. Place a perfect pear, pomegranate, gourd or persimmon at each placesetting, fill a bowl with figs, or create a heaping pile of colorful squash down your table runner for a striking look. These items last longer than flowers and give a nod to the season without breaking the bank. Stick to one type of fruit or vegetable for the most dramatic effect. Consider repurposing pieces found at flea markets, antiques stores and even a beloved granny’s attic. An old trough can make a great statement when filled with moss or ground cover. If you have enough time, consider planting white narcissus bulbs in a found container. They will be in bloom for your December and New Year’s table. The flowers not only offer a heavenly scent, they share the promise that spring is just around the corner. See more of Kerrie Kelly’s holiday decor on Zillow Digs.